Lake Erie is bordered by the states of New York, Pennsylvania, Michigan and Ohio, as well as Canada. Beautiful, great fishing, boating, recreation, scenery, Bird Watching, etc. 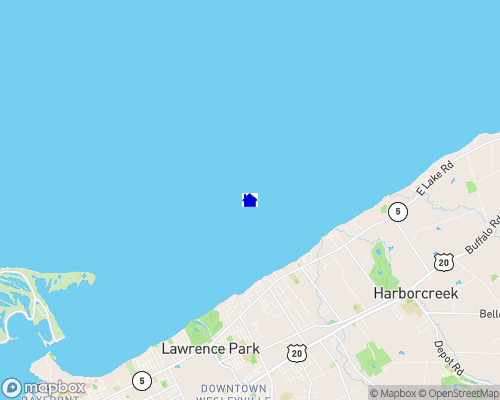 Lake Erie is the eleventh largest lake in the world (by surface area) and the fourth largest of the Great lakes in surface area and the smallest by volume. Ninety-five percent of Lake Erie's total flow of water comes via the Detroit river. The rest comes from precipitation. Lake Erie is the shallowest of the Great Lakes and is especially vulnerable to fluctuating water levels. Lake Erie is the warmest and most biologically productive of the Great Lakes and Walleye fishing is widely considered the best in the World.